Lincolnshire Talks: Are our county's hospitals in crisis? With both of the trusts in charge of Lincolnshire’s hospitals being placed in special measures in consecutive weeks, many residents are growing increasingly concerned about the quality of our NHS services. But are our county’s hospitals in crisis? United Lincolnshire Hospitals NHS Trust was deemed inadequate just days after the Northern Lincolnshire and Goole NHS Foundation Trust was also placed in special measures after inspections by the Care Quality Commission. Both trusts apologised to their patients following the report, promising to address the issues identified by inspectors. Lincolnshire Reporter went out to speak to some locals on Lincoln High Street to hear their thoughts on the state of the county’s hospitals. Loraine Tesh said: “There’s too many people using the NHS,” while Zorona Raghip said that the government needed to put the country first, by reducing foreign aid. The impact has been felt across the whole of the county, not just in Lincolnshire with the people in Grantham being especially critical about the recent news. 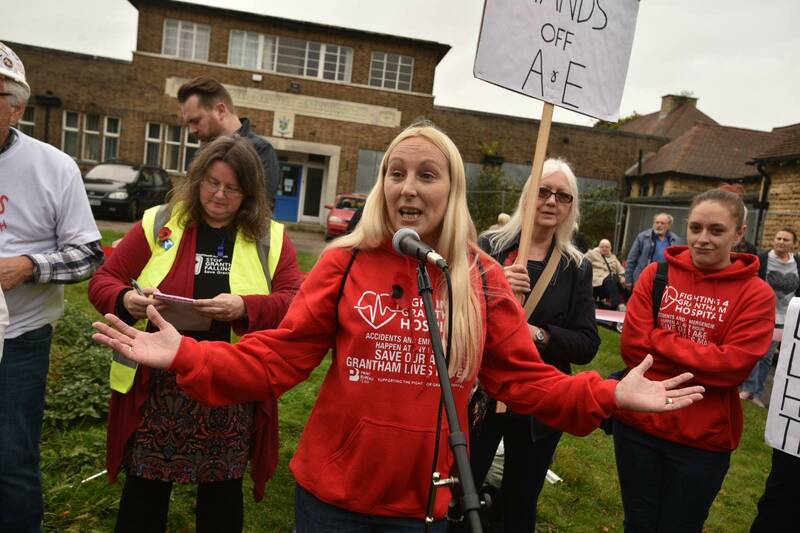 Jody Clark, founder of the Fighting 4 Grantham Hospital campaign group, said: “After ULHT closed Grantham A&E overnight due to unsafe staffing levels last August, it’s gutting to hear staffing at Lincoln has been critical over the last week and they are back in special measures so soon after 2013-2015. “It makes us feel that the decision to close Grantham A&E overnight was the wrong decision – it clearly didn’t resolve the issues. “The latest CQC report highlights issues with bad management of finances and staff feeling under pressure and unable to voice concerns. “It saddens and scares me, and many in the community, as to what we will be left with. “Both Grantham and Louth have consistently rated good, proving that smaller hospitals function better and larger hospitals seem to struggle. This is a concern with the centralisation plans under the Sustainability and Transformation proposals. “I hope they use the great services at Grantham and Louth to their benefit and let them help support the system while it is struggling. “If the trust is unable to manage the four hospitals, I think they need a troubleshooter to resolve ongoing issues or alternatively, let the neighbouring trusts take Grantham, Pilgrim and Louth under their wings and then they can focus on improving Lincoln. Many Facebook readers offered support to the NHS workers in the county.